The commitment of two people that have been together for 50 years speaks volumes about their character. Saying, “Yes, I love you!” each and every day resonates fortitude, humility, and the possession of a gentle spirit. That fact should be celebrated and it was! I was contacted and commissioned to build a part of that celebration. I was sent a black and white image that was scanned in at a high resolution. Keeping with the theme of an old photograph I wanted to include a boarder. Old photographs typically have an irregular white boarder that surrounds them. Sometimes these boarders are burned, discolored, or even mangled. The boarder wasn’t part of the original image but I felt it was important to add one. So I did! When the party kicked off the entrance of the couple being honored was something fairy-tails are made of. They arrived in a lovely little boat then were greeted by family and friends. The celebration went off without a hitch due to diligent planning and care. 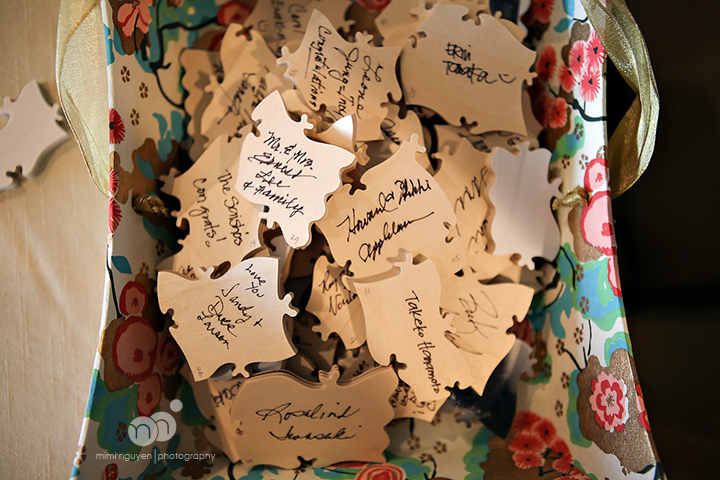 The guests that attended the celebration were able to sign the back of a puzzle piece and leave a short message. 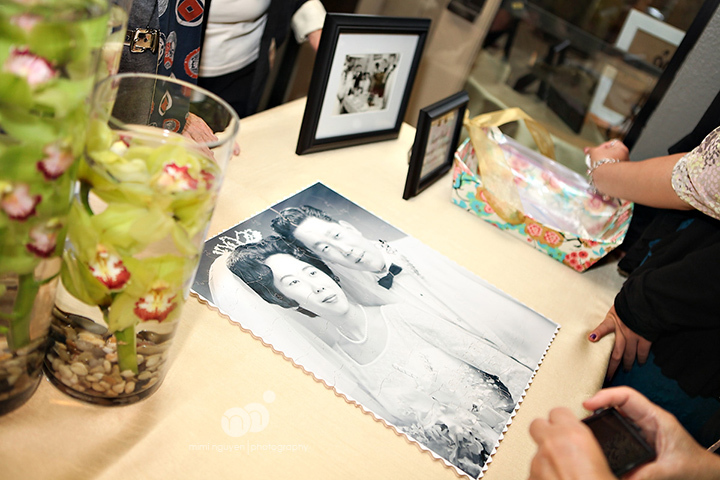 The celebration eventually came to a close but the couple has a keepsake. The puzzle that was made for them can be assembled many times over for years to come. About the photographic artist – Mimi Nguyen is an international wedding, portrait & lifestyle photographer based in California & New York. 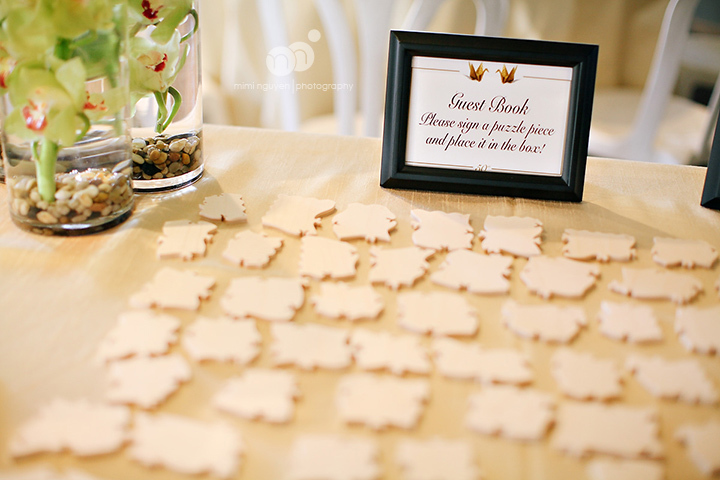 Images featured in this article are © Mimi Nguyen Photography and were used with her permission.